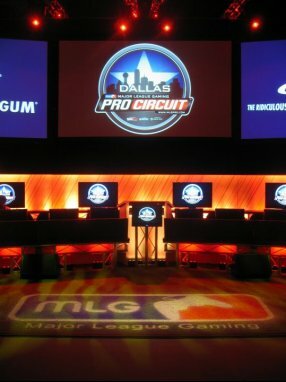 Everything is bigger in Texas and with MLG Dallas, it was! We announced our third MLG Sponsorship Contest, passed out tons of sweet GoG Patches, and partied like true rockstars! Thanks to all who made the weekend so much fun and with two semi-epic LAN parties in the GoG Headquarters, you know THIS is the place for some great highlights from the event. Congrats to Triggers Down, who defeated Carbon on Championship Sunday and took home another 2009 victory! See everyone at MLG Anaheim! Displaying 1 - 7 of 7 comments. Love all the pics and chronicles of the event. Love it love it. Keep it up so that who couldn't make it can still enjoy it. Everyone should share this highlighting profile with friends around the web, by dropping it's specific URL on your Facebook, MySpace, Twitter, ect. profiles! Great meeting eveyone in Dallas, I'll be posting a chronicle later about my experience at Dallas. Wish I coulda been there!! Wait until you see miselj's dance video! Hey! Great seeing you at MLG Dallas!!! !